Dragoslav Ognjanović killed in front of home in incident that also left his son injured. A prominent Belgrade lawyer who once helped to defend the late Serbian strongman Slobodan Milosevic has been shot dead, gangland-style, in front of his home, police said. Dragoslav Ognjanović, 57, was gunned down in front of his apartment building in the Novi Beograd neighbourhood and his 26-year-old son was wounded in his right arm in the incident on Saturday, Serbia’s interior ministry said in a statement. 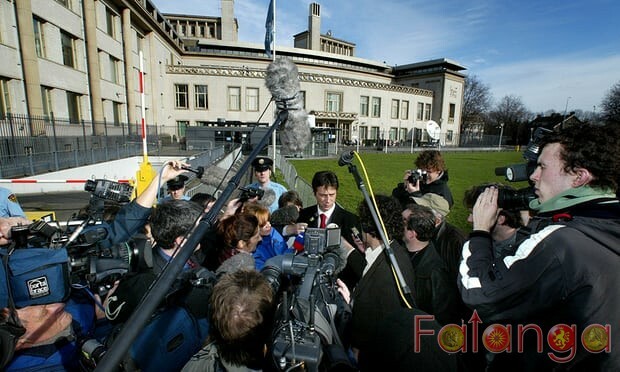 A prominent criminal lawyer, Ognjanović served in the early 2000s on a legal team that helped to defend Milosevic at his war crimes trial before the UN tribunal for former Yugoslavia in The Hague. Milosevic died in the tribunal’s detention unit in 2006 before a verdict was reached. Over the years, Ognjanović also defended some of Serbia’s leading underworld figures.